There’s a fine line when it comes to off-road vehicle customizations. Some people love it, and others hate it, but this customization is definitely one for the memory books. Needless to say, this beast is quite the amazing machine. Introducing the Hellwig 2016 Nissan Titan XD Sema Build. The Nissan Titan XD Sema Build is originally the brainchild of suspension manufacturer Hellwig. That being said, it is only made possible through the various sponsors that brought life to this machine. Visually stunning and aesthetically pleasing, this Titan XD does not shy away from functionality either. The sponsors include Lance Camper, Icon Vehicle Dynamics, MagnaFlow and a variety of others. Apart from the awesome look that this off-road vehicle sports, it was built to handle the wilderness. 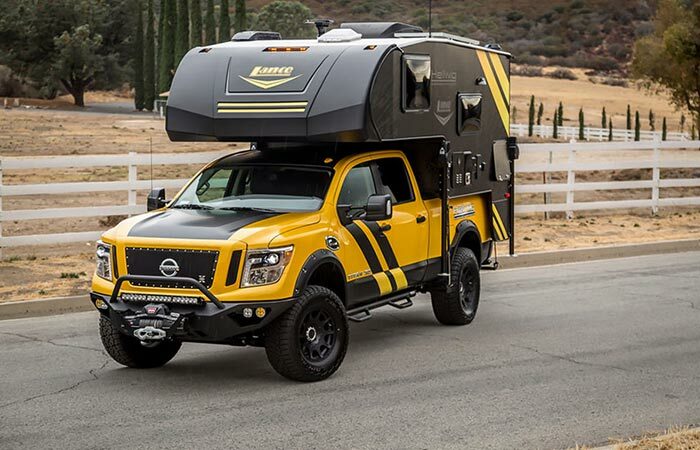 By teaming up with Lance Camper, this Nissan Titan features a 2017 Lance 650. This makes it a perfect camping vehicle for those difficult trails. The Lance 650 Camper is packed with luxuries and can sleep three people. It truly is a mini-home on wheels. 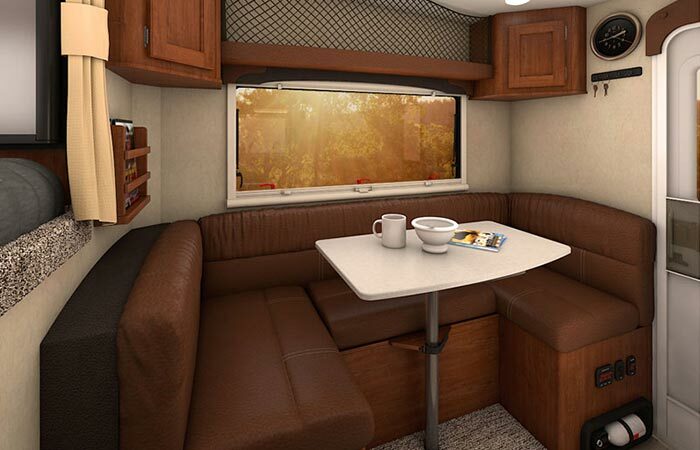 The Lance 650 Camper also features a queen sized bed, air conditioning, microwave, a 19″ flat screen TV and many more amenities that truly makes it a mini-home on wheels. Furthermore, it is large enough to accommodate 3 people for sleep. Taking the family on a camping trip has never been easier. Interestingly enough, it also features a bathroom with a shower and toilet. It truly is a vehicle worthy of SEMA. With plenty of lighting, this rig is built for difficult bush rides. 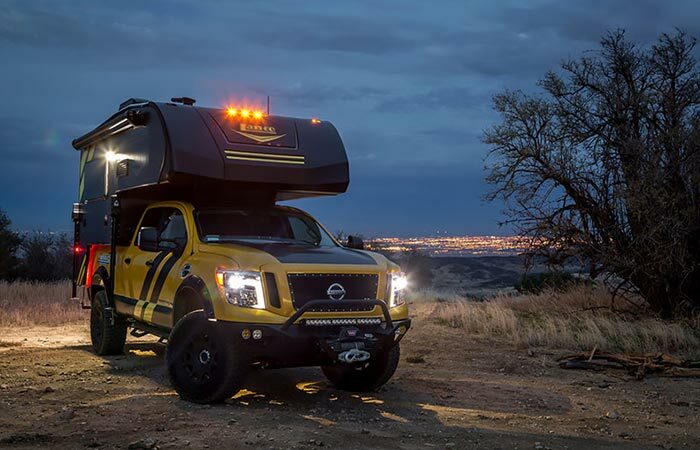 The Nissan Titan also doesn’t shy away from power since this beast is powered by a Cummins diesel engine. In other words, the Titan XD wasn’t just chosen for its rugged looks, but also for its power and exceptional performance. At the moment, Hellwig is still busy with this build and they haven’t released much info in the way of technical specs, but you can always check out their updates here.